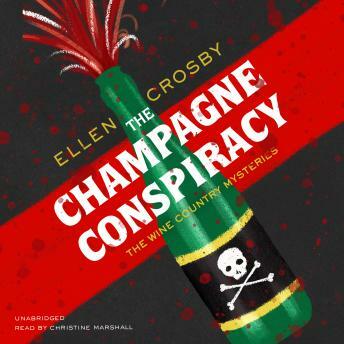 Lucie Montgomery, vintner at a Virginia winery, must solve a mystery that connects a presidential scandal with a murder in Prohibition-era DC that echoes all the way to the present. Lucie Montgomery and winemaker Quinn Santori have decided to make champagne, a first for the the Montgomery Estate Vineyard in Atoka, Virginia. But then Gino Tomassi, Quinn's uncle, turns up on their doorstep, demanding help in solving the mystery of what happened to Zara Tomassi, the first wife of his grandfather, who died in a San Francisco hotel in 1923 under suspicious circumstances. It seems there's no coincidence that her death came the day after President Warren Harding passed away in that same hotel. Gino needs answers before his blackmailer takes him for all he's worth-or exposes an explosive family secret. Lucie searches for what happened almost a hundred years ago as she delves into Prohibition-era Washington, DC-a town of bootlegging and duplicity, jazz clubs and speakeasies. But then the investigation turns deadly, threatening Lucie, her relationship with Quinn, and the vineyard. Someone is still out there nearly a century later who will go to any lengths to keep the truth about Zara's death a buried secret.